Stop your Search! Dreams Do Come True! Immaculate Custom Built Cape with Attached 2 Car Garage! Situated on Lovely Tree Lined Street in North Abington on nearly ¾ of an acre! Excellent Open Floor Plan! Spacious Formal Livingroom with Wood Burning Fireplace! Large Formal Diningroom! Custom Gourmet Kitchen with Quartz Countertops, Breakfast Bar, Abundant Natural Cherry Cabinetry and all High End Stainless Steel Appliances! Every Chef’s Dream! 3 Very Generous Bedrooms! Large Master Bedroom with En Suite Bath! Beautifully Landscaped Front Yard and a Fenced in Back Yard perfect or Entertaining. Central Air! Laundry! Glistening Sunshine & Windows are Everywhere! Gleaming Hardwood Floors & Porcelain Wood Grain Tile on the top level! Full Basement with Excellent Ceiling Height! Direct Access Attic Storage! Be in downtown Boston in just 30 minutes! A Tremendous Value! 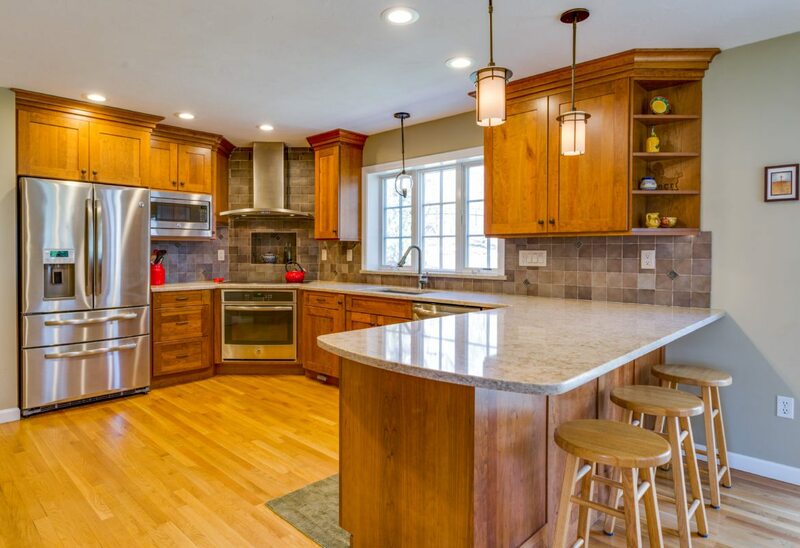 Don’t Miss Out on this Charming and Meticulously Maintained Home! Truly one of a kind! Click Here to view the Interactive Floorplan and More Photos!